Training others to hear that thirst. 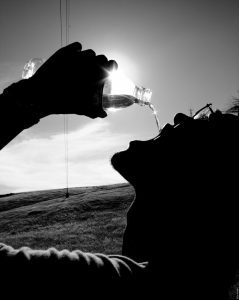 One challenge for me has been to help others see spiritual thirst in their conversations or assess the level of spiritual thirst in another person. Fortunately for me, I found a resource last year that fills in that gap. 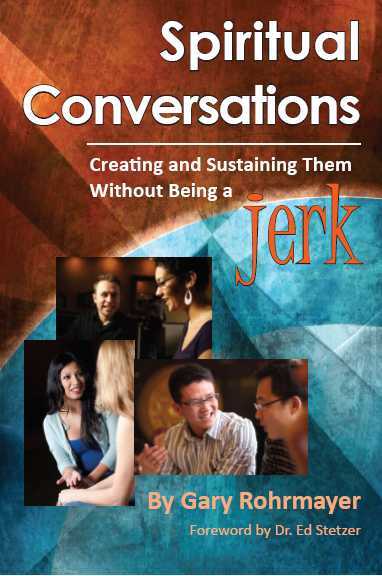 Gary Rohrmayer’s book Spiritual Conversations: Creating and Sustaining Them Without Being a Jerk fills in the gap. Since I read this book, I’ve done 4 webinars with Gary and sell his book at my seminar book table. (Get your own copy via Amazon). This little book is a short read, but if you take the time to think through the study questions and actually put some of those things into practice, I believe it will transform your life. There are basically two groups of people. There are spiritual searchers and active followers of Jesus. 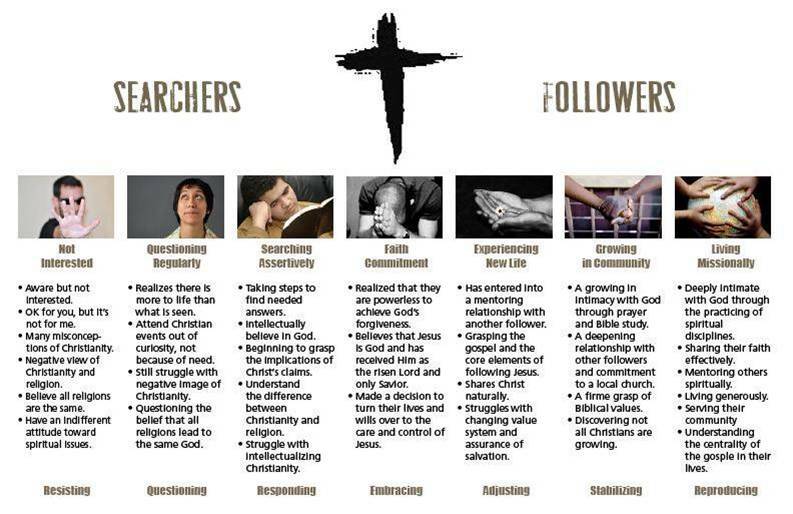 Within each group there are many different types of searchers and followers. There are those who casually approach spiritual things and there are those who are really intense in their search for true spirituality. On the other side there are those who have discovered the liberating joy of Christianity, who are either brand new in their walk with Jesus or growing deeper in their faith; maturing in their faith. But the thing that separates a spiritual searcher from a Christ follower is a faith commitment. A faith commitment is that defining moment when a person admits their spiritual need and discovers all that Jesus did for them and has said yes in their spirit to following Jesus as their risen Lord and only Savior. With that concept of the journey around a faith commitment to Jesus, Gary has developed a useful tool that can help you have more spiritual conversations with people and assess their level of thirst. With each one, he provides a description of them. As you go through the descriptions with people, they will naturally find the one closest to where they would describe themselves. 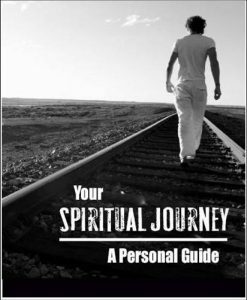 Where are you now on your spiritual journey? Where would you like to be on your spiritual journey in six months to a year? What is standing between you and that point? What will it take for you to remove those barriers? Or, how can I help you take the next step? With this simple tool, you can determine a person’s level of spiritual thirst, and it is a natural conversation tool to go deeper about the goals a person has for their spiritual life. I’ve been using this tool and it’s wonderful. I even taught a church how to use this in their door to door campaign. Order your copy of Spiritual Conversations from Amazon. Thirst image: Source unknown, been trying to find it for a few years. Is your faith in your conversations? Can you send me a pdf. of your spiritual conversation? Amazon is sold out. I paid for it already. Your book is hard to find. I am at the end of my class and it is the last book to be used. I’ve forwarded your request to Gary Rohrmayer directly.